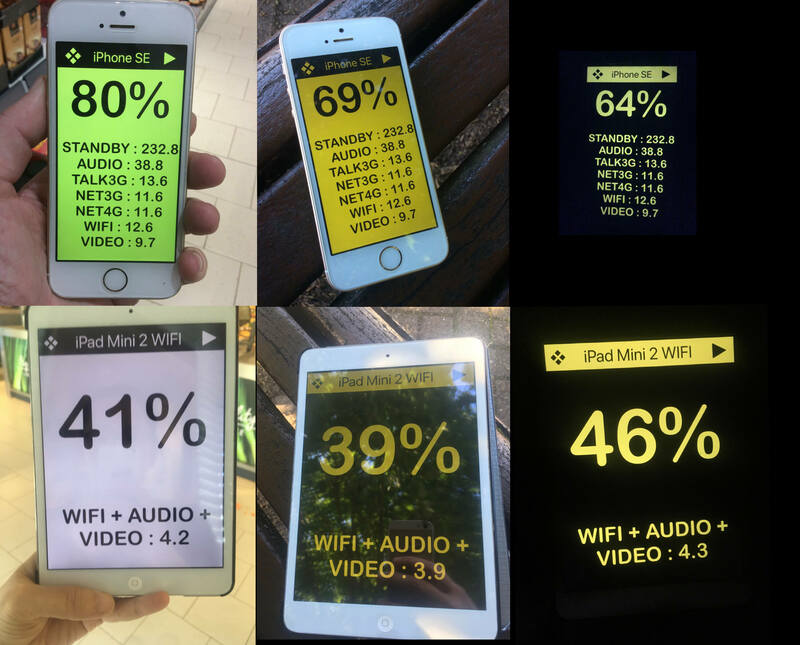 Big Battery Low Vision App for Low Vision users. Big Battery is a Large Print Battery App for Visual Impairment Aid. Big Battery displays your battery level in Large Print. 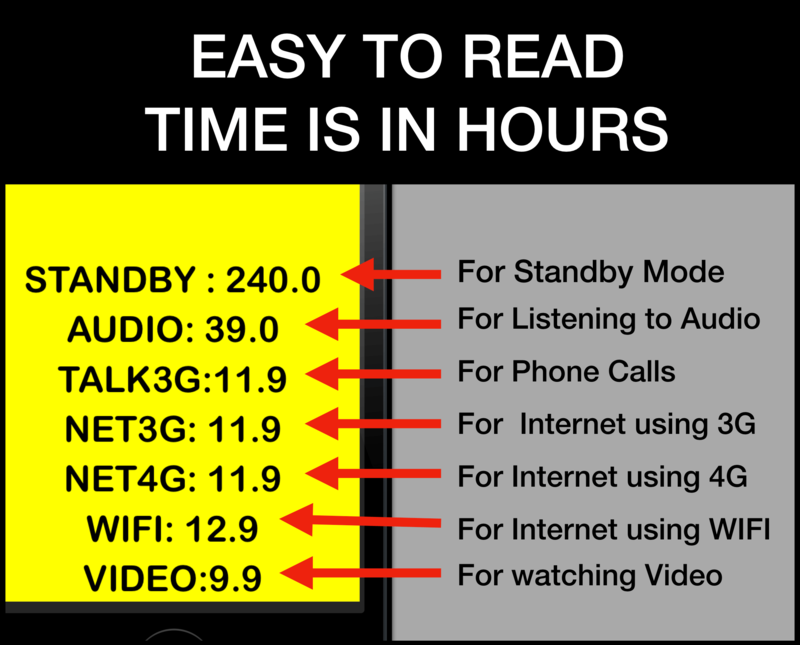 It's a lot easier to read than the normal Battery level for partial sight. This App works for Ipad and Iphone. In portrait mode, you have more details such as time remaining for Wifi, 3G etc. 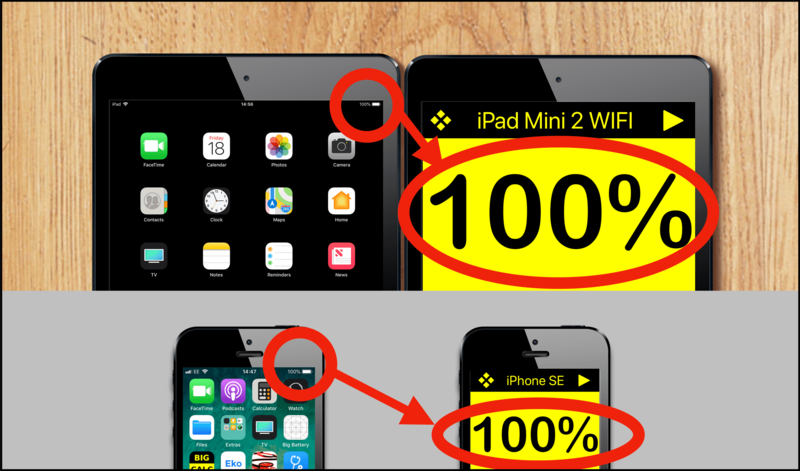 If you just want to hide the details and just see the Battery level, rotate the device to landscape and the details will be hidden. There are 4 high contrast modes to choose from, just tap this button ❖, your favorite mode will be saved even if you close the app and will remain until you change it. 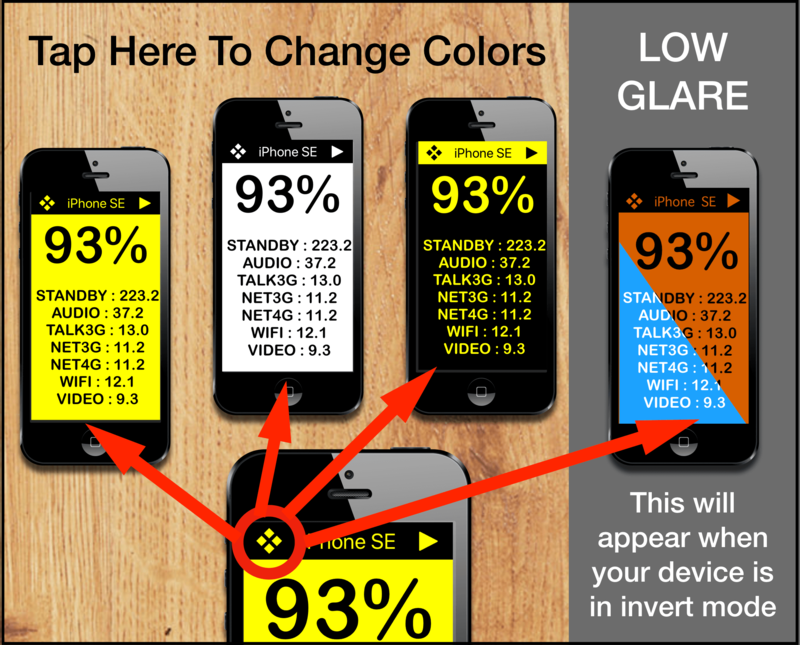 There is also a low glare invert mode to match the Device invert mode settings. To allow for maximum size print, the word 'hours' has been removed to save space. All numbers represent the estimated hours of time left for that activity. Your Battery Level will be easy to read in all lighting conditions. You do not have to increase your screen brightness. Use it conveniently in Outdoor light, Indoor light and very low lighting. Even with patchy screen reflection, there is clarity.